Quality drives every decision at Bullfrog Spas. Their design and engineering processes are second to none. It shows in what you see and what you don’t. Components like the EnduraFrame™, are built with laser precision and assembled with care. Extra supports are even added in high-usage areas to strengthen overall spa integrity and to create an exact fit. As a part of the design, the composite molded EnduraBase™ spa base has hand-holds for moving the spa, convenient electrical chase-ways for easier electrical set up, vents to keep out unwanted pests, and an easy-access external drain. 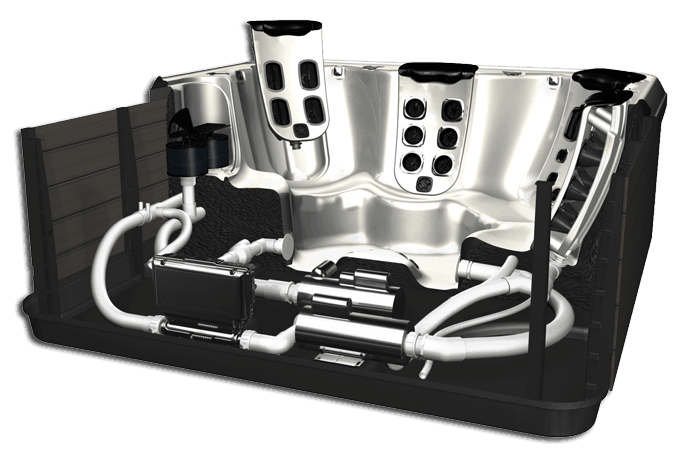 From the base all the way through to the smallest jet, Bullfrog Spas are built to the highest quality standards, right here in the United States. The goal of the manufacturing professionals and the entire company is operational excellence and quality for you, the spa owner. A strict procedural approach to manufacturing greatly reduces the amount of variation or chance for errors in building your spa. Each station in the Bullfrog Spas production line has multiple quality checkpoints to ensure that your spa is reliable and worry-free. Why risk it with another spa made overseas or in a poorly configured factory? The focus at Bullfrog Spas is to be the best-built, highest-quality, and most enjoyable spa anywhere. Bullfrog Spas gives you more ways to personalize your spa. 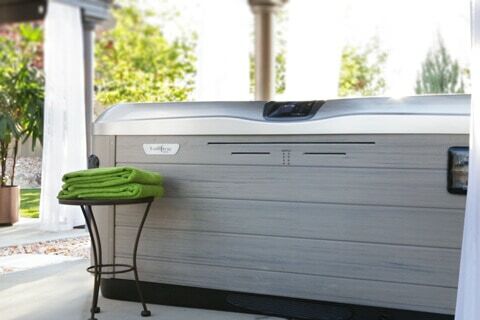 A perfectly personalized hot tub means you’ll relax better in a spa that is set up just the way you like. 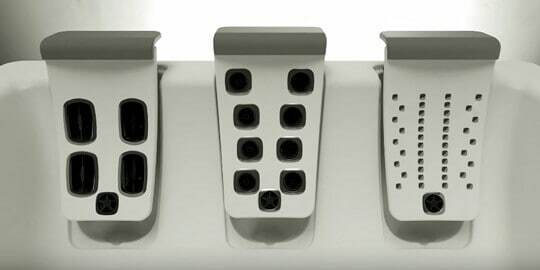 Our uniquely bio-engineered JetPak massages provide just the right therapy exactly where you need it. Because Bullfrog Spas are built completely differently, they utilize about 90% less plumbing than conventional hot tubs. Less plumbing equals less friction and less energy used to get water to the jets. In addition, most of the water delivery system in a Bullfrog Spa is inside of the proprietary H2Air Manifold on the JetPak and is submerged in the hot water. Any heat from water in the JetPak manifold transfers directly to the spa water rather than being lost to the cold outside environment. This unique and patented energy-saving feature will keep monthly power bills surprisingly low and will keep you relaxed and worry free!